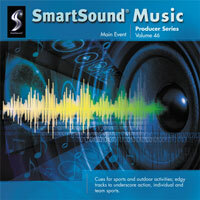 Cues for sports and outdoor activities; edgy tracks to underscore action, individual and team sports. These cuts have many textures. They can be put to wide variety of scoring uses by taking advantage of Sonicfire Pro's Mood Mapping feature.